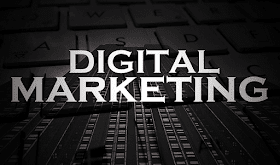 Digital marketing is here to stay and it's getting more competitive each year. Creating a comprehensive and effective digital marketing strategy is not a walk in the park. It's a complex and never-ending balancing act of maximizing user experience, growing brand awareness, following new trends, standing out from the competition, generating revenue, and staying on budget. For anyone looking to build or revamp their digital game plan, I've outlined these top 12 digital marketing strategies of 2019 (in no particular order) to help your business create a strong foundation. Having a high-quality business website is pretty obvious in 2019 but you certainly need to make your company's site a cornerstone of your digital marketing strategy. It needs to be descriptive, dependable, secure, quick to load, responsive, mobile-friendly, and with a clear Call To Action. There's nothing more pointless than an expensive trendy website that doesn't explain what the company actually does. You can own the most beautiful $100,000+ website but if it doesn't create value and drive revenue then it is all for nothing. Depending on what your business model is, you may actually be able to get away with a free or nearly free blog as your website. WordPress is usually the best option in this case, and the custom templates are pretty versatile these days. Wix and Squarespace have the potential to make simple, clean and modern websites as well for a low price. Many websites can also benefit from systematic A/B Testing to determine which version of a website or landing page drives the most conversions. A few tweaks on an E-Commerce website could literally be the difference between thousands (or millions) of dollars. That's the delta between crushing losses and life-changing success. As I mentioned briefly on point #1, a business blog should be included on your website if it isn't already a prominent part of your website. A company blog will provide value to customers, allow you to promote your company, cultivate discussion, drive website traffic, and improve overall SEO. Not everyone has the motivation or resources to post new content every day, but just remember that they don't say "Content Is King" for nothing. Business blogging will lead to more opportunities such as lead generation and revenue growth than you might think. In addition to building up your own bold business blog, you should also write guest blog posts for other websites in your niche to help drive even more traffic and SEO benefits to your web pages. You shouldn't have a digital strategy without making social media marketing a cornerstone. Social media has changed how people communicate and it has proven to be one of the biggest game-changers in the world of advertising and branding. Social platforms offer you the opportunity to reach targeted prospects or customers from around the world and amplify your branding. Social media platforms that you will almost certainly need to focus on will be Facebook, Instagram, and Twitter. YouTube and LinkedIn could also easily be the most important platform for your company because of their power potential. Other profitable platforms include Snapchat, Pinterest, Google+ (sunsetting in August 2019), Tumblr, Reddit, and the often underestimated Quora. If possible you should cover all your bases and utilize all or nearly all of these social selling options and online reputation, but it depends on your available time and budget. Social media marketing is a fantastic tool to utilize for growing your brand online, but some paid advertising will go a long way. It's also a necessity for most companies since Facebook only shows posts organically to just 1% of your page's audience. A similar trend has taken place on Twitter, Instagram, LinkedIn, YouTube, Pinterest and most other services. If you want to reach even a small portion of the audience you've built up over the years you're going to have to pay the piper. The sooner you come to grips with that reality, the sooner you'll set some realistic expectations from your social channels. Obviously each social media brand has its own pros and cons. Most social media marketers agree that Facebook currently provides the best ROI of all social networks, but it depends on your digital marketing goals. If you are a B2B company then LinkedIn may make the most sense for you. They can be expensive to use but they send out some free $50 advertising credits here and there each year if you want to give it a try. If you're targeting Generation Z or Millennial users, Snapchat and Instagram social platforms will be your best bets. It's hard to go wrong with the power of YouTube pre-roll ads as well. When focusing on female users, Pinterest and Instagram tend to get you the best return on investment. These networks, especially Pinterest, have a much higher female user base. Not all companies need mobile apps, but they can certainly play a role in digital marketing success. A mobile application could very well be the basis of your business, in which case you should have the very best. Other business models may prefer to utilize a mobile app over the mobile version of their website. And still, other businesses like to complement their overall digital strategy with the added functionality or convenience of a mobile app. It's great to have a presence in the Google Play Store and Apple App Store if you can. It's even better to be able to mine user data and send Push Notifications to customers. Having your company logo or graphic of choice on the home screens of customer phones and tablets alone can help keep your brand on top of mind. One thing remains clear: mobile apps can be quite expensive. If you aren't a mobile app developer and can't build your own then you could be looking at $10,000 - $100,000+ costs to develop and maintain it. There are some affordable DIY platforms, but they are usually pretty limited with their capabilities. If it's not a necessity for your business, the mobile app option might not be for you. Nowadays you can send web push notifications anyways and a lot of people are disabling mobile app push notifications. Pay-Per-Click (PPC) advertising most commonly comes in the form of Google AdWords for search engine results. 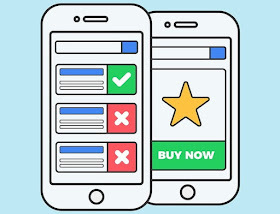 These ads can display search results, website banners, text blocks, mobile application advertising, and video pre-roll ads. Knowledge and experience are absolutely crucial when it comes to PPC ads because you can easily spend a lot of money and only end up a bunch of random impressions and clicks that lead to minimal revenue. You have to determine which channels to focus on, which websites will be most effective, what keywords you should bid on, and how much you should bid. Without advertising expertise and a sound strategy you might end up flushing your marketing budget down the toilet. Google Analytics and other data tracking software programs available on your computer or phone are critical for PPC to determine how well your ads are running and what needs improvement. Email marketing is still one of the most effective forms of digital advertising. The talk of email marketing's demise has been greatly exaggerated for the last decade, even in the wake of social media and mobile applications. Almost everyone has email, most people have smartphones, and the average person checks their email several times per day. Many people check their email several times per hour! Email addresses are cheap to get (usually through a contact form, checkout cart, account setup, or mobile application) and easy to segment by location, purchase history, user behavior, age, and plenty of other factors. Free or affordable options like Mailchimp and Constant Contact provide your business with excellent ROI. Just don't kill the goose that lays the golden eggs by sending out too many emails too often. Keep in mind that annual attrition rates are around 25% and can easily be higher if your frequency or segmentations are off the mark. Moreover, you should always take care of email list hygiene. And this is where email verifier services will help you: they check emails for validity and you can delete invalid ones. Search engine optimization is more important each day in an increasingly competitive digital world. There are hundreds of millions of websites out there now and your site has to stand out against the competition in Google searches and other top search engines like YouTube, Bing, Yahoo, Facebook, and Amazon. You need to make sure your website has a user-friendly design, loads quickly, has accurate meta descriptions, contains plenty of appropriate keywords, and contains unique high-quality content. Driving traffic to your website from social media and advertisements will help your SEO strategy, as will building backlinks to your sites on other reputable web pages. Blogger outreach and social media influencer marketing is another opportunity to reach a wide audience of prospects. Working with well established bloggers, vloggers, podcasters and social media influencers helps to build brand equity and credibility with your audience. You may be able to get these influential online figures to post about your company just by conversing with them or providing them with a free sample, trial or product. Many of them know that it also helps to build their own brand's exposure so it really is a mutually beneficial arrangement. More often than not though you will need to pay for these types of posts with influencers that have tens or hundreds of thousands of followers. For social media influencers with millions of followers it can be very costly, so you better make sure you do your research and that your investment pays off. Influencer marketing can be a little bit risky since you give up a little bit of control, but there is a lot of upside to balance out that liability. Depending on your business model you should also include other digital content such as white papers, ebooks, slide decks, videos, podcast episodes, infographics, and any other multimedia that you think will help add value to your brand. Any one of these additional media formats, especially video, can easily be a game-changer for your business resulting in millions of views or thousands of orders. It's up to you what kind of wild-card digital tactics or platforms you can utilize to make your brand stand out from the pack in 2019. Many marketers are quick to dive right into marketing campaigns and content creation without adequately researching their market, industry, and technology. Before you spend countless hours and significant sums of money on your marketing campaigns, you first need to check the data and make sure that there is a market for your product or service. Analyze your competition and make sure your company fulfills a need that is currently under-served. Do you have the budget, technology, or technical expertise to run your marketing strategy for the necessary length of time? Utilize hard data when possible for all of these considerations and not just your own biased opinion. Social media monitoring can also provide you with additional insights on your prospective customer base and the competition. Listen to your potential market to gauge what they're saying about current solutions and areas of focus. You can use CRM or social update programs to monitor hashtags, keywords, usernames, links, follower growth, and all of the related data associated with these metrics. What's the quickest way to fail in digital marketing? It's to think that you know everything and that you're done learning. As previously mentioned, the field of digital marketing is evolving on a daily basis so you need to stay on top of the latest trends and techniques. Keep up to date with digital marketing courses, research, blog posts, videos, podcasts, and testing your own results. There is always more to learn and the additional knowledge will only help to improve your company's bottom line. Often times businesses don't have the time, resources, or expertise to give each of these 12 pillars the full attention they need for optimal digital performance. There's nothing wrong with hiring a top digital marketing agency to implement the necessary improvements so you can focus on your company's core competencies. Hiring a reputable agency can really launch your business to the next level. Bulldog Digital Media is a trusted digital marketing business that has helped countless companies in the UK and around the world. I hope you've found these online branding and advertising strategies to be helpful for your business. Focus on these top 12 best digital marketing strategies and watch your brand awareness and revenue generation grow to the next level in 2019 and beyond. I hope you enjoyed this article about how to build a strong foundation for a successful digital marketing strategy in 2019. 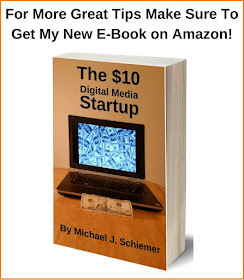 Interested in more articles about better digital marketing tactics?